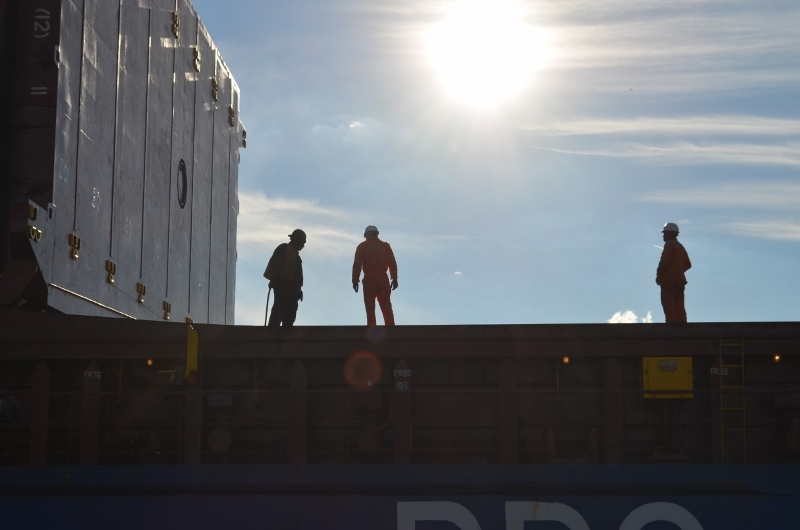 Hamilton, ON — The Hamilton Port Authority (HPA) and the Mission to Seafarers Southern Ontario (MTSSO) have partnered to launch a campaign intended to help marine industry workers experiencing critical incident stress. Critical incident stress is the response an individual experiences following traumatic event. In the workplace, an accident or death, extreme weather event, or ship-board event are all traumatic incidents that can result in critical incident stress. Workers in the marine industry may be more prone to exposure to a critical incident due to the nature of their occupation. When an individual experiences critical incident stress, the symptoms can take many different forms and are not always easy to detect. Basic signs of trauma may include appearing shaken up or ‘out of it’, or other indicators such as increased conflict at work, fatigue, withdrawal, or other changes in behavior. The joint HPA-MTSSO campaign aims to raise awareness among port tenants and seafarers, and in times of crisis provides a direct, personal contact to a Mission to Seafarers Chaplain that is just a phone call away. “It is important for individuals experiencing symptoms of critical incident stress to get help and support as soon as possible following the incident to increase the possibility of recovery while minimizing long-term effects including PTSD,” said Rev. Judith Alltree, Executive Director of the MTSSO. The Mission to Seafarers was founded in 1837 and incorporated in 1856 working in over 260 ports caring for seafarers of all ranks, nationalities and beliefs. Through their global network of chaplains, staff and volunteers they offer practical, emotional and spiritual support to seafarers through ship visits, drop-in centers, and a range of welfare and emergency support services. The Mission to Seafarers Southern Ontario (MTSSO) serves the ports of Hamilton, Toronto and Oshawa.